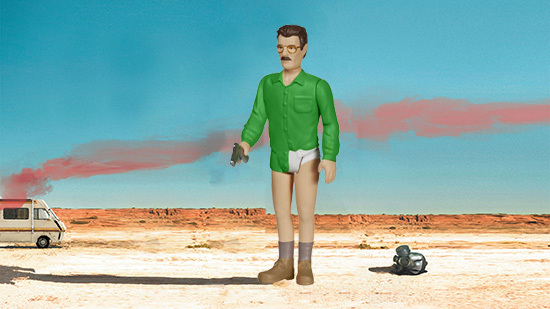 Ever wanted to recreate that epic piece of mash-up fan fiction where Boba Fett is chasing Walter White on behalf of Jabba the Hutt? 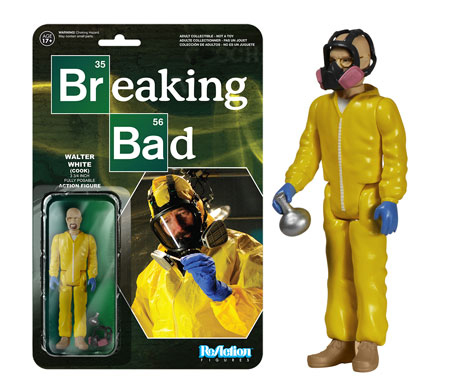 Well, now you can with the retro-inspired 2015 Funko Breaking Bad ReAction Figures. Done in the style of old Kenner action figures, they carry an old-school vibe for the modern show. 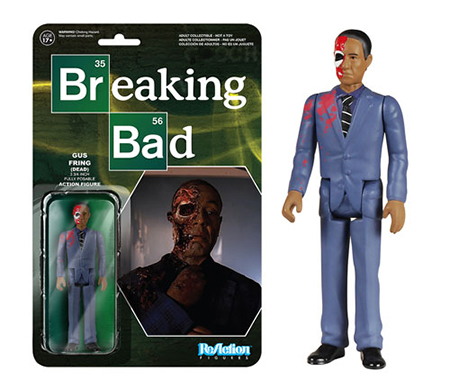 The 2015 Funko Breaking Bad ReAction line has seven figures. That said it only covers three different characters. 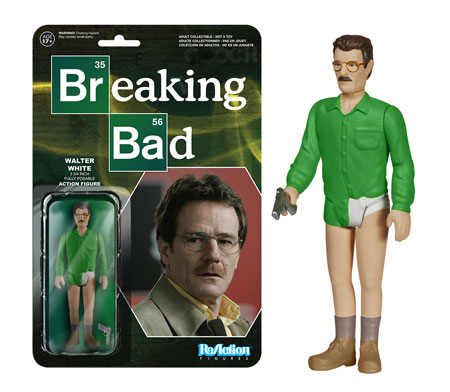 Walter White can be found in his iconic tighty whities, in his cook garb and as his ruthless alter ego, Heisenberg. 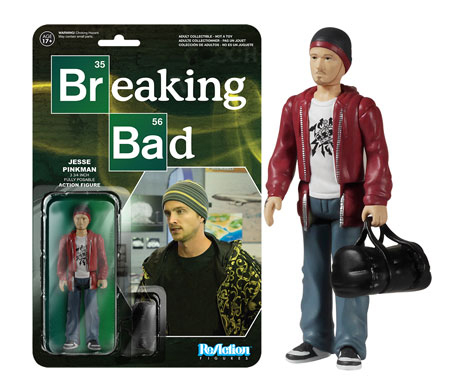 Jesse Pinkman is available as a burnout and a burnout cook. 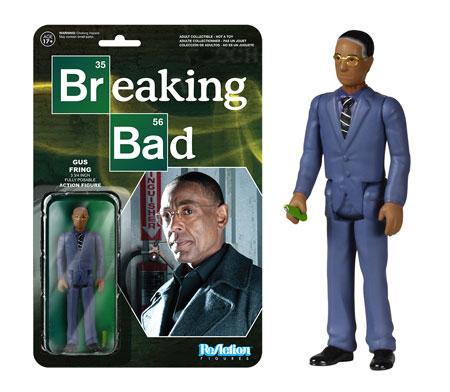 Then there's Gustavo Fring who is shown as his silent self and his silent, (***SPOILER ALERT***) dead self. 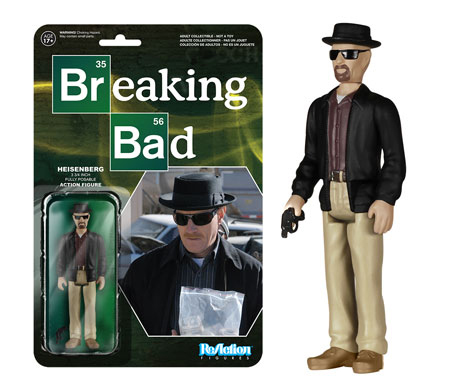 2015 Funko Breaking Bad ReAction figures stand 3 3/4-inches tall. They have just five points of articulation, meaning you can move their heads, arms and legs. They're definitely about the nostalgia and not the likenesses. 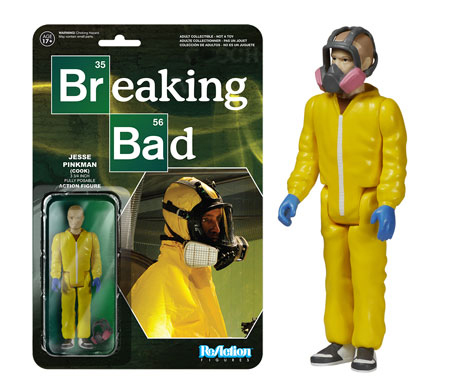 Figures also come on a retro-style backing card. Click on the Gallery tab at the top to see them all.